This dainty 925 Sterling Silver ring by Thomas Sabo features a striking interlocking design, which represents an unbreakable bond. 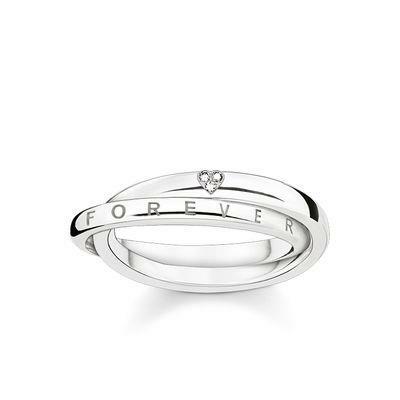 One ring is set with a dazzling genuine Diamond heart, while the other is engraved with the romantic phrase "TOGETHER FOREVER". The perfect romantic keepsake.